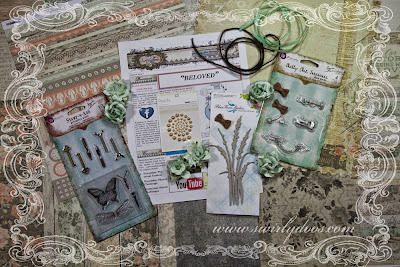 Scrapping Fancy: Swirlydoos November Kit Reveal! We are not having a blog hop this month, but there will still be ways to win some prizes and, of course, beautiful projects to see from our talented design team! Go to the Swirlydoos blog to find out how you can win some fabulous prizes by pinning our posts, projects, videos and kit pics! Make sure you have LIKED & FOLLOWED Swirlydoos on Facebook!!! 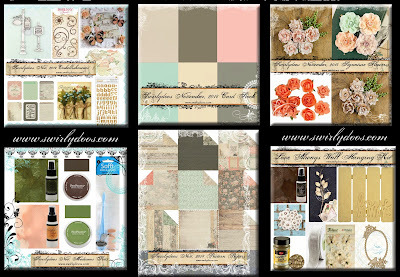 And check out these coordinating add ons that perfectly compliment our November scrapbook kit! Are you a subscriber? If so, your kit is on it's way! If not, check out the Swirlydoos store to see if there are any November kits or add ons in the store! 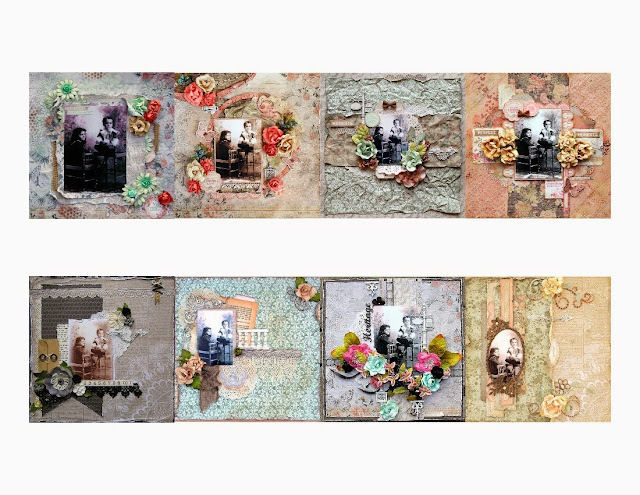 We have some absolutely beautiful scrapbook projects for you to see today! This month, designer Kim challenged the design team to use this picture on a layout. And, we are challenging YOU to figure out which designer made each layout! The circles on the sketch has scallops, so I decided to take out my border punches and make strips to add to them. I learned this trick years ago from Ms. Jan. I colored the chipboard by dragging a distress ink pad over it. I added some yellow pearls that came in the kit. I wanted to add more circles to the design, so I used a circle stencil in two of the corners with embossing paste, then I used the brown mist from the project kit to add more circles by taking off the sprayer and dotting the paper within the space I used the stencil. 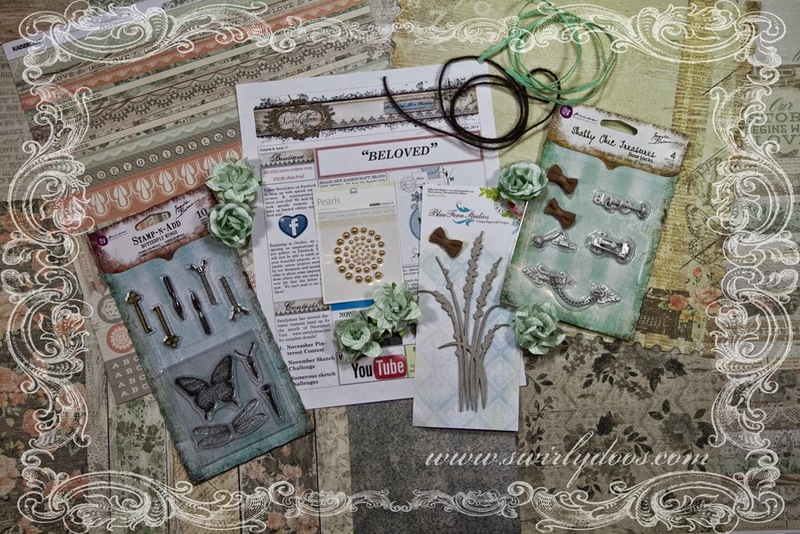 I used a Memory Box butterfly die. For my title, I used the alphas from the main kit and the Thickers from the embellishment add on. They were quite subtle, so I opted to trace the Thickers with a white pen. I added one of the burlap bows to dot the "I." This is my project I made with the project add on this month. I LOVE this Kaisercraft wall decor, and it was serendipitous to get it in a kit because during my move, my shadowbox that I had made using this picture of my grandparents got crushed. I was able to save the picture though. 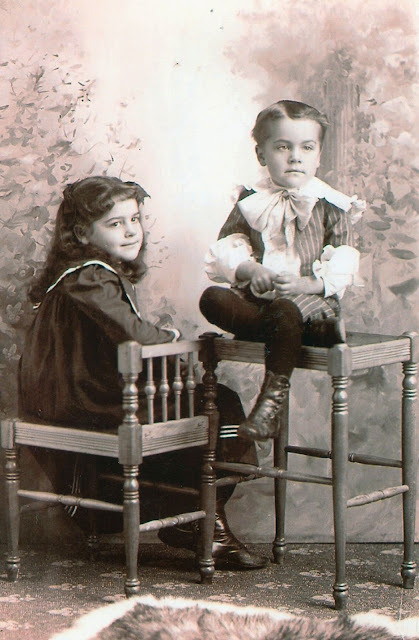 Comment on my blog for a chance to win a fabulous prize! See the Swirlydoos blog for details! Gorgeous projects Rae! I love your take on the sketch! And I adore your wall decor! Beautiful projects...I Love the wall piece, its just gorgeous! Gorgeous take on the sketch; DD pics are just the sweetest thing!!!! Your wall hanging is drop dead gorgeous!!!!! Wow, Rae! Your wall hanging is fabulous! I love how you added the pearls to the chippie on one of your LO's! You always come up with the best ideas for chipboard treatments!